An important part of loving yourself is making your bed. How you make your bed will determine the kind of sleep experience you want to give yourself when you’re back home at the end of the day. Most people, however, get baffled by the sheer number and types of pillows there are, and couldn’t be bothered with pillow arrangements while making their bed. Our quick and easy pillow guide will make arrangements a fun and indispensable part of your bed making process every morning. King Sham: 22”x33” in size, these are the pillows that are found in pairs at the back of a king size bed. Standard Sham: 18”x27” in size, these are the pillows found one each on single or twin beds. Two of these will come on a queen size bed while a king size bed could have up to three of these. Euro Sham: These square pillows, which are about 26”x26” in size, are the ones that co-ordinate with the duvet cover. They are great for leaning against, when reading or watching television in bed. Boudoir Sham: These are smaller, square decorative cushions, about 16”x16” in size, which feature right at the front of the pillow arrangements or on couches and diwans. They are popularly known as cushions or throw pillows. Bolster: These are cylindrical pillows, about 7”x20” in size, which are found commonly lining the sides of sofas and diwans, but they also add a royal touch to bed pillow arrangements. Neckroll: Smaller cylindrical pillows, about 6”x16” in size, these accentuate the bolsters. Feel like life is too short to be arranging pillows every morning? 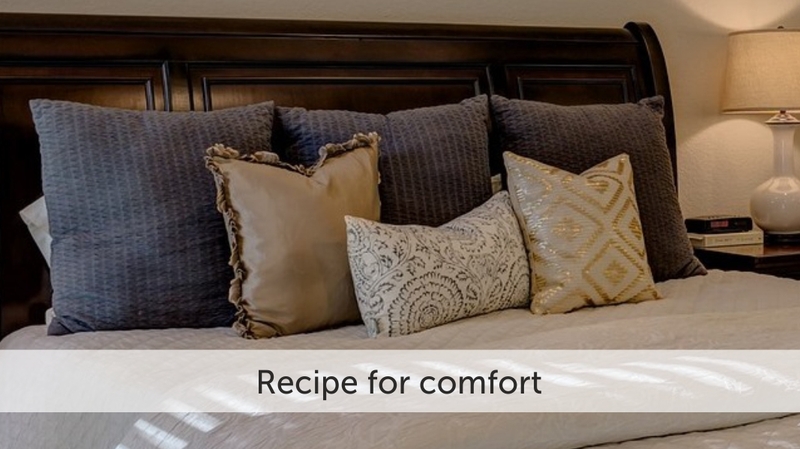 Try a simple method that should take under a minute to make your bed welcome you back home. Stack up your king size or standard shams one on top of the other and then place a single Euro sham or a pair in front of them for a single or double bed respectively. Like playing by the rules? Rest two Euro shams standing up next to each other at the end of your bed. 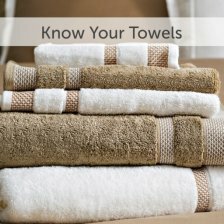 In front of them, place two bolsters with a king size or standard sham each on top of it. Finish the look with a boudoir sham or two in the centre. Place two king size or three standard shams next to each other against the wall at the end of your bed, so that their corners are peeking out. In front of then, place two Euro shams. Let this further come down to one Boudoir sham in the centre flanked on each side by bolsters or neckrolls. Now, this one is definitely meant for a king size bed. Place three Euro shams next to each other against the wall at the back of your bed, or against the bedboard. Place two king size or standard shams in front of those. Arrange multiple Boudoir shams, bolsters and neckrolls in interesting patterns in front of this. 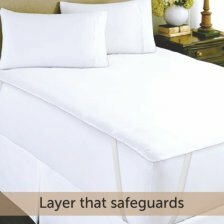 Make your bed cozy and beautiful every day so that it loves you right back.